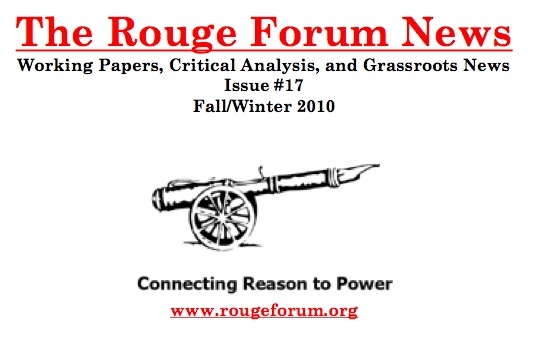 The new issue of the Rouge Forum News is dedicated to a few of the papers from the Rouge Forum 2010 conference, held in Williams Bay, WI this past August. Thanks to RF News Editor Adam Renner for putting together another great issue. 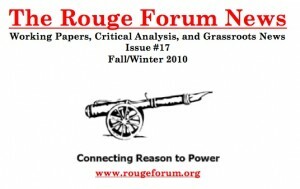 Check out the new issue of the Rouge Forum News #17 here [pdf]. Read past issues of the RF News here.